Who needs high tech when we have sand! There's all sorts of battery research in progress aimed at making them last longer and in turn hopefully making our smartphones last longer than a day or two, but one study suggests that the answer may simply be to use sand. Essentially these batteries would be very similar to the ones we use now. They'd still be lithium-ion, but instead of using graphite for the anodes they'd use sand, or more specifically beach sand that's been milled, purified, heated and had salt and magnesium added to it, ultimately creating pure silicon. This approach is affordable, non-toxic and environmentally friendly as well, importantly, allowing for batteries that can theoretically last three times as long as a standard lithium-ion juice pack, as the silicon created in this way is very porous which makes it more efficient and in lab tests it led to a threefold increase in energy density. 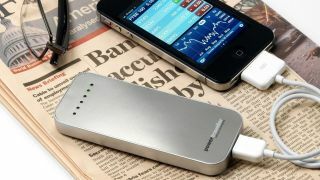 The breakthrough, which was made by researchers at the University of California and the Bourns College of Engineering and reported on by nature.com, is still in the lab stages unfortunately, so for now we'll have to file it away with all the other promising battery research which is yet to make it into commercial products, but it certainly sounds good. This isn't the only battery research doing the rounds.